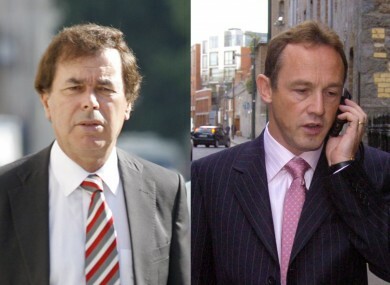 Alan Shatter tells councillors that Paul Reynolds “has great difficulty in accurately reporting anything”. Ouch. Justice minister Alan Shatter openly criticised the work of RTÉ's crime correspondent Paul Reynolds at a council meeting yesterday. RTÉ’S CRIME CORRESPONDENT Paul Reynolds has been on the receiving end of a verbal thrashing – from the minister whose job he reports on. Speaking to a town council meeting in Templemore yesterday afternoon, after attending a Garda College graduation ceremony earlier in the day, justice minister Alan Shatter shared condemning words for Reynolds’ output with the national broadcaster. The Irish Times recounts how a local councillor complained about a recent report on the town – a report on a new development site, which the councillor said included a video clip of the incorrect site. Mr Reynolds has great difficulty in accurately reporting anything. He constantly and consistently engages in tabloid sensationalism of the worst kind and frequently gets it very wrong. Shatter had earlier faced questions from reporters, including Reynolds, at the graduation ceremony where he was again questioned on the appointment of Oliver Connolly, a former political donor to him, to a Garda whistleblowing position. A spokesperson for RTÉ this lunchtime said that the national broadcaster had no comment to make about Shatter’s reported remarks, saying simply that “Paul’s work and Paul’s record stands for itself”. The highly personalised comments are unusual for a cabinet minister – particularly for one whose reporting role sends him to events being organised or attended by the minister. Reynolds is usually the main RTÉ reporter at events like Garda conferences at which the Minister for Justice is a regular attendee. Email “Justice minister attacks RTÉ reporter over 'tabloid sensationalism'”. Feedback on “Justice minister attacks RTÉ reporter over 'tabloid sensationalism'”.